EndoTherm Doubles Up with Award Nominations. EndoTherm has twice been named as a finalist in the category Small Scale Project of the Year (under £250k) at the North West Regional Energy Efficiency & Healthy Homes Awards 2017. Formally known as the Green Deal & ECO Awards, the North West Regional Energy Efficiency & Healthy Homes Awards launched in September 2016. The goal of the awards is to provide public recognition for the excellent work the energy efficiency sector is doing implementing schemes that help homeowners and businesses to reduce their energy bills, tackle fuel poverty and reduce carbon emissions. As a Warrington based company, Endo Enterprises (UK) Ltd are delighted to have been recognised for our EndoTherm projects which benefit local organisations in both the public and private sectors. The two projects include installations of EndoTherm at Preston Town Hall and the Harris Museum, a Grade 1 listed 19th-century museum whose gas consumption reduced by over 14% and saved over 13 tonnes of CO2 in its first year. “EndoTherm was one of those products that on the face of it seem too good to be true, often after further assessment discussions or pilots this turns out to be the case. Meeting with Endo Enterprises it was clear that this wasn’t one of those solutions and certainly warranted further assessment.  EndoTherm is also sponsoring the Regional Energy Consultant/Consultancy of the Year Award at the event which takes place at the Mecure Haydock Hotel on Wednesday 26th April 2017. Consultants are the lifeblood of the industry who have the capacity to save organisations thousands (if not millions) through energy efficiency initiatives. 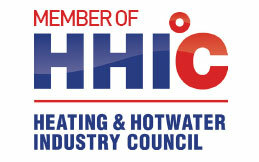 It is our honour to sponsor an award that celebrates the best of the best in the North West. We wish all the finalists all the best for the awards and we look forward to celebrating the energy efficiency sector which is ever-growing in the North West. For more information about the awards please visit the North West Regional Energy Efficiency & Healthy Homes Awards website.